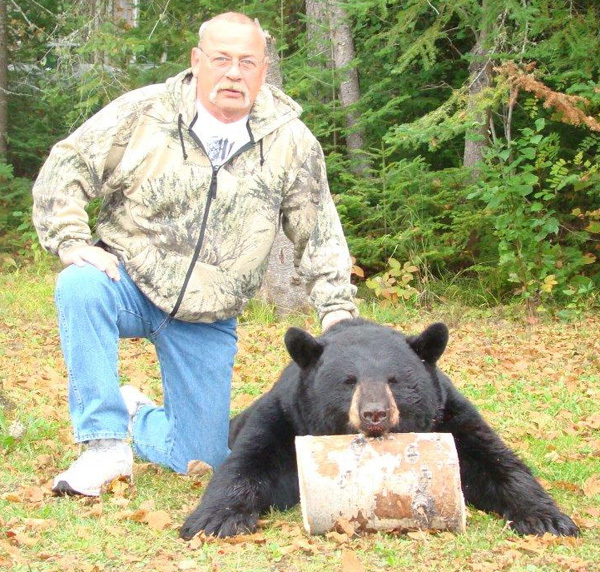 Located just 25 miles south of the Chapleau Crown Game Preserve in Northern Ontario, Five Mile Lake Lodge sits in the heart of the Black Bear hunting capital of Ontario. Our B.M.A. 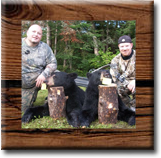 or Bear Management Area is over 300 square miles and we not only hunt the area surrounding our lake, but the many nearby lakes, streams and marshes. There are numerous logging roads that we utilize to access our area and there are many trails as well that tie into these roads. Although a pickup truck works just fine for much of our access, we highly recommend bringing an ATV for even deeper access. 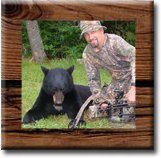 Depending on your preference and the terrain, we use a variety of tree stands and ground blinds. There are some solid tree stands that have plenty of room for a nice chair and your gear which gives you the ability to stand up and stretch if needed. We also use single person ladder stands that have the ability to be moved if necessary. Both of these stands will place you up approximately 16 feet. Our ground blinds have been very well received as well and some are made out of logs while others are framed and covered with plywood. All will have some bushes strategically placed for additional cover (click here to see tree stand pictures). 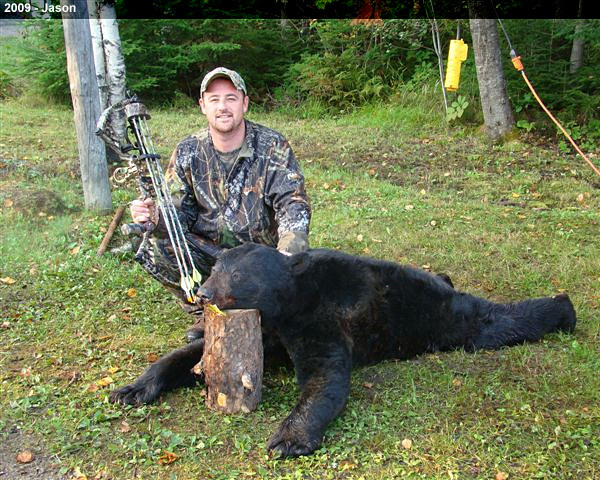 We run a quality Chapleau Black Bear hunt and guarantee to put you on an active bait. As mentioned, our area to hunt is quite large, but we have elected to "manage" our area and not over harvest it in order to maintain its healthy population. 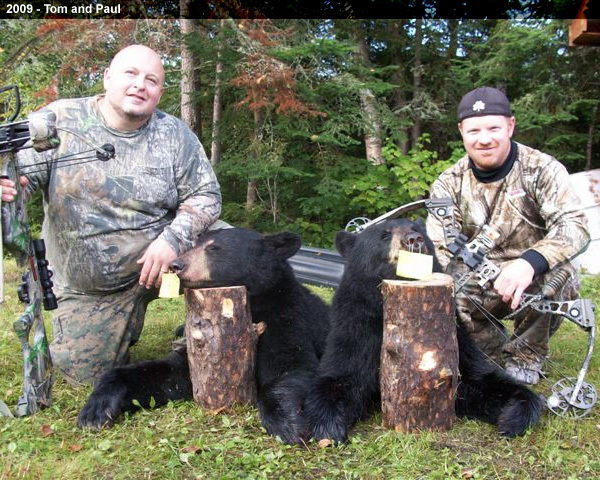 We run a 3 week fall hunt bringing in a maximum of 6 - 8 hunters per week. 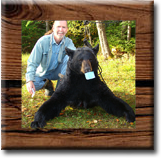 All baiting begins at least one month prior to the start of our hunt, which we run the last two weeks of August and the first week of September. 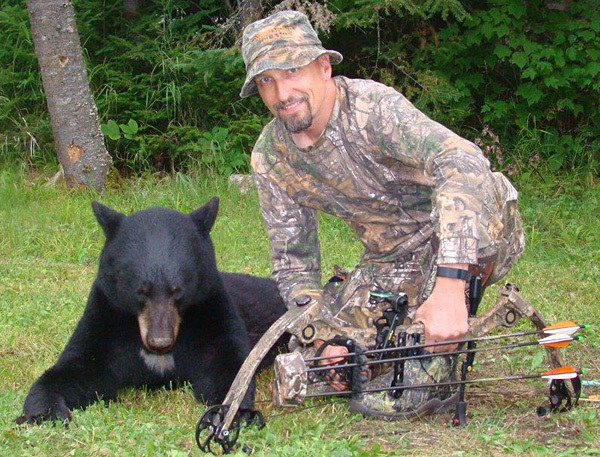 Our proven baiting techniques, along with the use of trail cameras, provide the hunter with the best opportunity to harvest an animal by determining the time of day that the animal is coming to the bait. 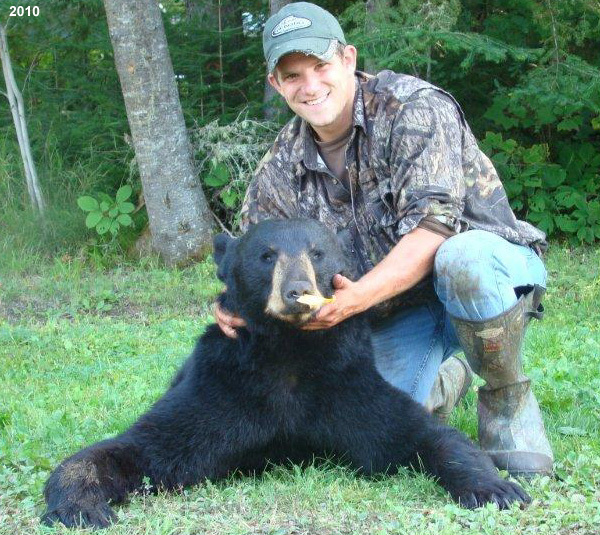 This also assists us in sizing of bears and if sows and cubs are present at which time we abandon the site. 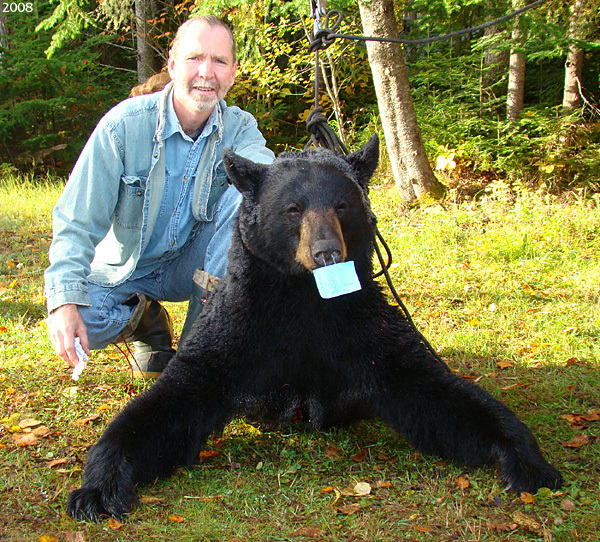 Your Chapleau Black Bear Hunt includes a fully equipped housekeeping cottage, boat, motor and gas, all baiting prior to / throughout your hunt, assistance with retrieval of downed animal, skinning, quartering and freezing. 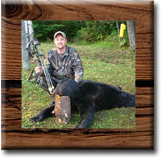 Tree stands and/or ground blinds set up for either rifle or bow hunters. 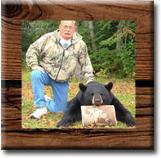 Please join us in Chapleau at Five Mile Lake Lodge for an Ontario Black Bear hunting adventure that you will remember for years to come. 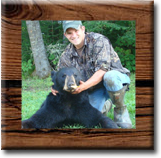 · Skinning, Quartering and Freezer Storage. There is an outdoor store in Chapleau where you can pick up things you forgot. Non-Resident Firearm Declaration Forms are available by emailing cfp-pcaf@rcmp-grc.gc.ca, or by calling 1-800-731-4000 (Canada and U.S.) or 1-506-624-5380 (other countries) and from all Customs offices across Canada.  Please Note: Complete the forms but do not sign the forms until you are asked to by the custom's agent.